Happy Guy Fawkes & happy birthday Famke Janssen! The genesis of this video goes all the back to the very first sync I ever wrote about on the internet, back in June 2006, before the word synchromysticism even existed. Crazy that I've been at this for 6 years and come full circle! Last year I started collecting clips for a James Marsden (Cyclops in X-Men) birthday video, realizing the stronger sync (in this context web) was actually with Janssen and abandoned the project. Another previous post from last year at The Sync Whole was key to this video. There we looked at the similarity between one of @syncwinnipeg's icaro's (a sacred song sung in ceremony) "The Cosmic Tigger" and Katy Perry's hit song "Firework". I believe both these people are powerful voices on our planet and that they tapped into the same frequency of love when creating these songs. Jim has been in New York visiting @true and doing Ayahuasca ceremony while Ive been here in Winnipeg editing this video. Amazing timing as he made plans to go a while back which ended up entraining with the arrival of Hurricane Sandy. "If you only knew what the future holds. After a hurricane comes a rainbow." I cant imagine a better way to bring healing light then the super love spreading space of ceremony. Its been fun to see the amazing syncs between his trip and the video. Above is a mural he snapped yesterday. Also V is the 22nd letter of the alphabet and Jim and the NY ceremony crew (including our very own Sync Whole contributor @indradhanush42!) journeyed together on the 22nd floor of Jennifer's apartment. Something that didn't make it into the video (time and technical difficulties..) is the fact that it is actress Vivien Leigh's birthday today, most famous as Scarlett O'Hara in Gone with the Wind. I love the Scarlett/Red connection to Phoenix and the film is full of fire. 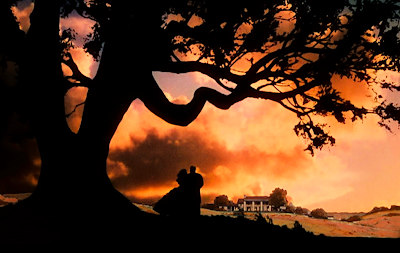 The most iconic shots are of the old tree at Tara. "Tree" is "Boom" in my second language, Afrikaans. 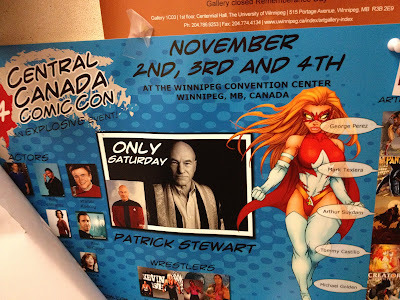 Another wild and wonderful sync with this video was Patrick Stewart being in town at the Central Canada Comic Con, exactly as I was editing him into the video! 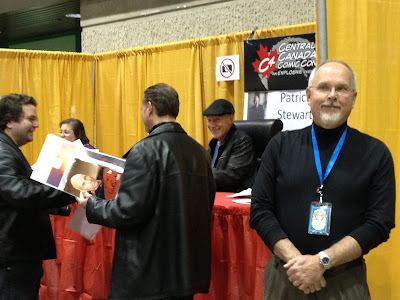 Couldn't resist to go see the man in person. This was as close as one could get without paying to get a signature. He looks very happy & friendly. 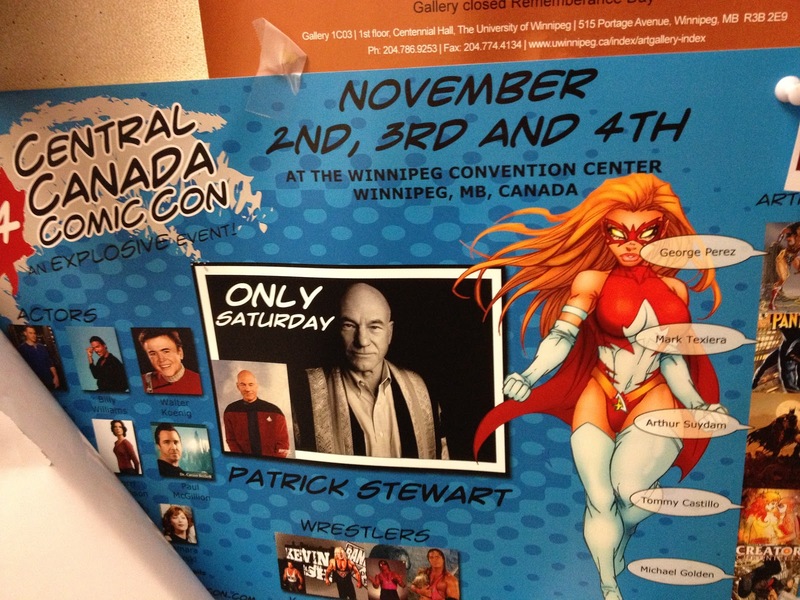 The poster has him with the red headed mascot for the convention, resonating Jean Grey/Phoenix. "Here is a pizza he ate today". Speaking of trees,I see Famke is going to star in a movie called "...In The Woods",about the mysteries of the internal world by taking unruly excursions into the recesses of the mind. She also starred in an Ally McBeal episode with Anne Heche (Psycho) called "The Ex-Files". with Owen Wilson and Eddie Murphy. I saw Skyfall yesterday and at the end Silva blasted the song "Boom, Boom" from the helicopter. I was in the theater grinning thinking of this post. Perfect sync!